THE PEOPLE APPLYING for a place on the Mars One mission wouldn’t last very long. 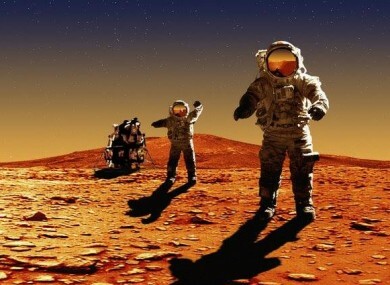 Researchers at the Massachusetts Institute of Technology (MIT) have determined that if colonists made it to the red planet, they’d last a grand total of 68 days. In 2012, the Mars One project, led by a Dutch nonprofit, announced plans to establish the first human colony on Mars by 2025. The group wants to send people on a one-way trip and film the project for a reality TV show. Researchers at MIT have described the vision as “bold”, particularly as Mars One claims that it can happen with technologies that already exist. Scientists have now determined that this would not be possible. They have said that if all food for the colonists is obtained from locally-grown crops, as envisioned by Mars One, the vegetation would produce unsafe levels of oxygen. This would set off a series of events that would eventually cause human inhabitants to suffocate. MIT said that this scenario could be avoided if a system to remove excess osygen was implemented. However, no such technology has been developed for use in space yet. Over 200,000 people applied to go on the life-ending trip on Mars. An Irish man made it down to the last 1,058 earlier this year. This list will eventually be whittled down to 24 people. Mars One has said that it would send up six Falcon Heavy rockets with initial supplies before the colonists land. However, MIT has described this figure as “overly optimistic”, noting they would instead need 15. Researchers said that the transportation cost for this leg of the mission, combined with the astronauts’ launch, would be $4.5 billion (€3.5 billion) — a figure that would rise with additional crews and supplies to Mars. Olivier de Weck, an MIT professor of aeronautics and astronautics and engineering systems, said the prospect of building a human settlement on Mars is exciting, but not yet feasible. “We’re pointing to technologies that could be helpful to invest in with high priority, to move them along the feasibility path,” he stated. Email “Remember those people who want to live on Mars? They'd die after 68 days”. Feedback on “Remember those people who want to live on Mars? They'd die after 68 days”.